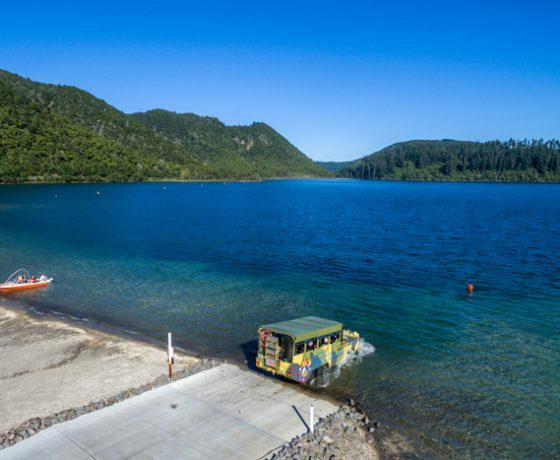 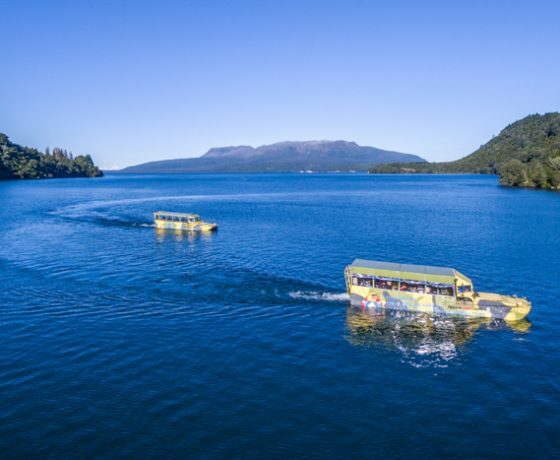 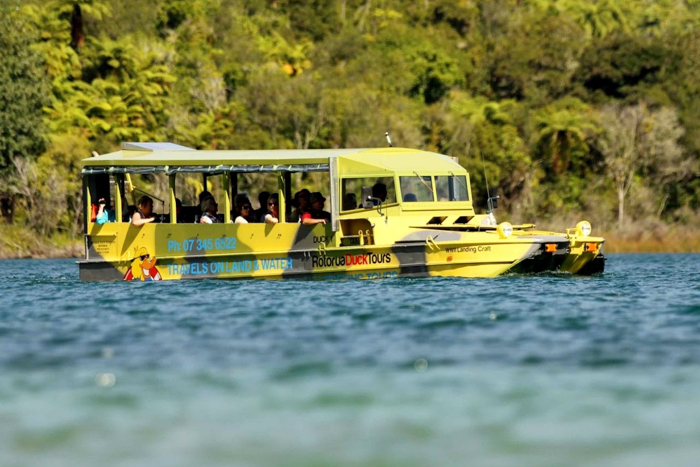 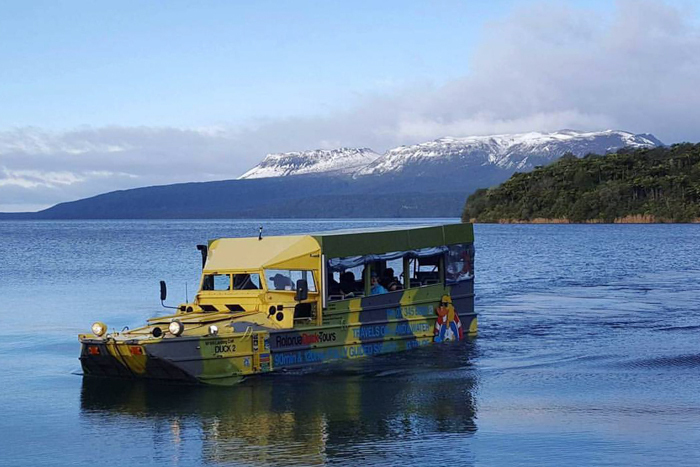 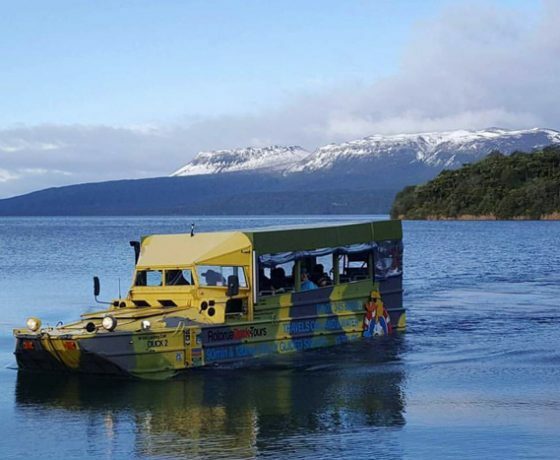 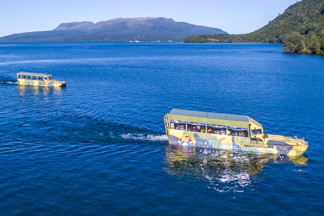 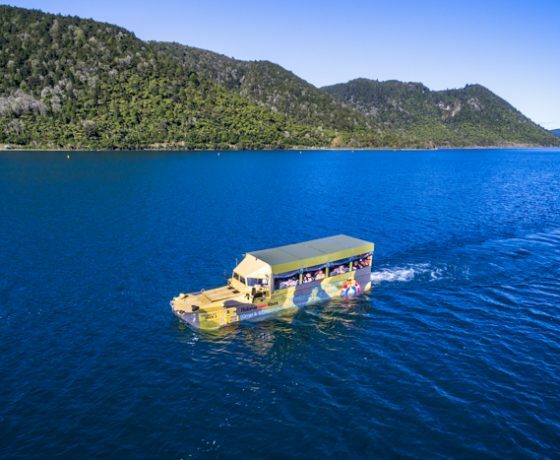 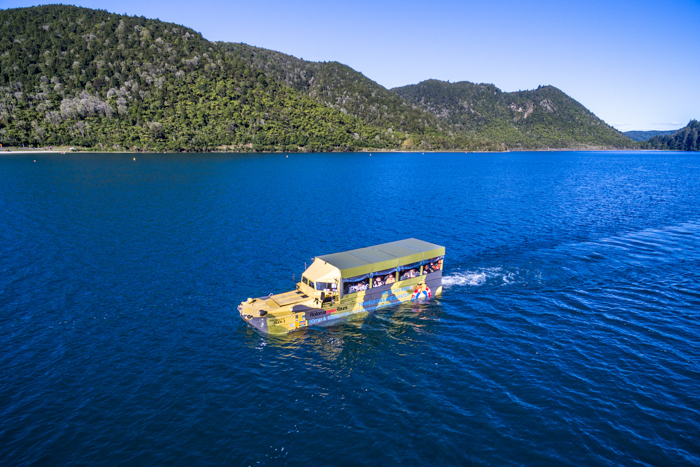 Rotorua Duck Tours is the only company that provides an exciting and memorable once in a lifetime opportunity to discover this special part of New Zealand, in an authentic amphibious WW|| landing craft. 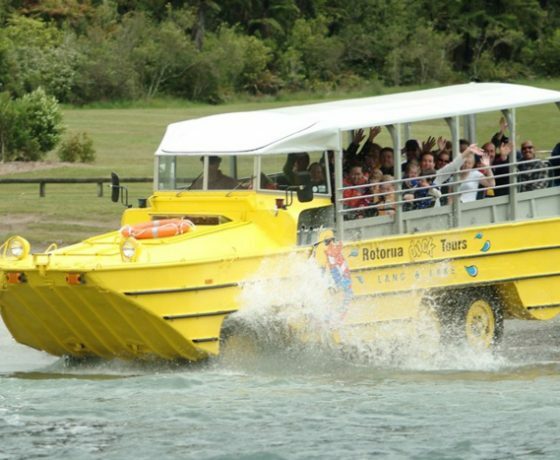 You haven’t seen Rotorua until you’ve seen it from the iconic Duck! 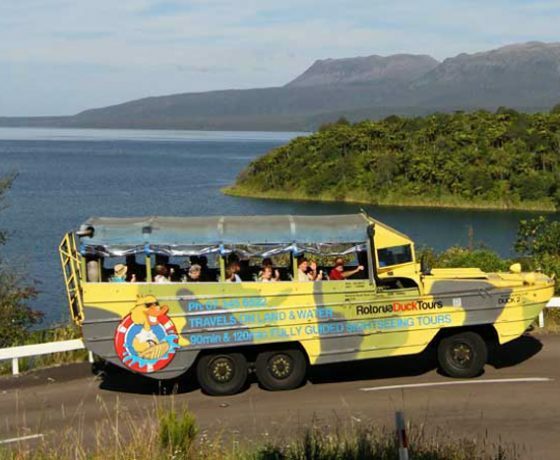 With 18 magnificent lakes in the Rotorua region, there is no shortage of places for the Duck to visit. You will experience the thrill of riding in an amphibious craft, affectionately known locally as “THE DUCK”, Our tours take you to view spectacular scenery and splashdown into pristine lakes. 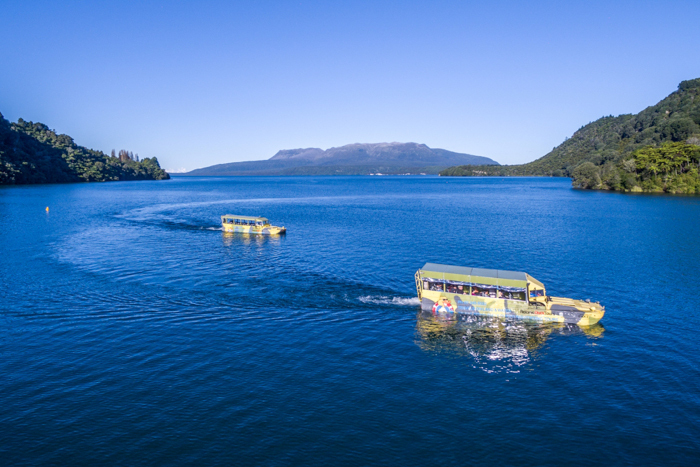 Offering two tours the ‘Rotorua City & Lakes Tour’ is a sightseeing adventure that takes place on land and water and the ‘Tarawera & Lakes Tour’, is the best way to appreciate the stunning scenery of this district and learn more of its history. 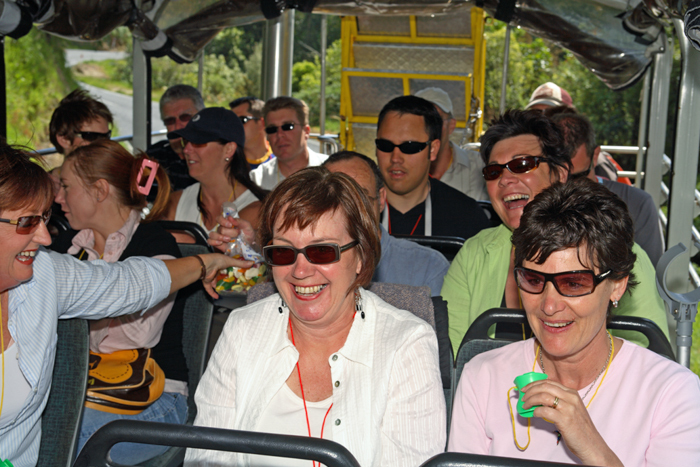 Both tours are suitable for all ages and are tremendous fun for the whole family. 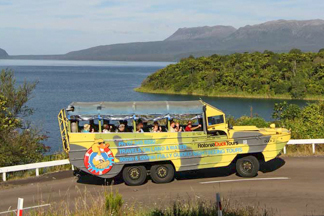 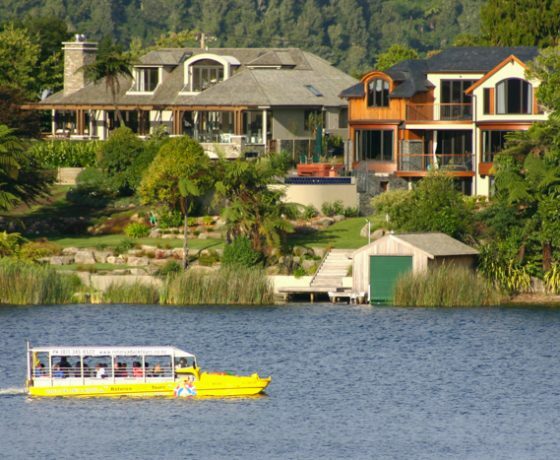 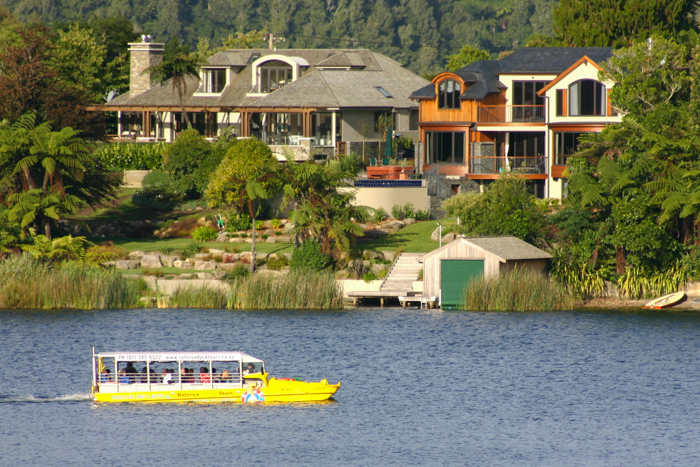 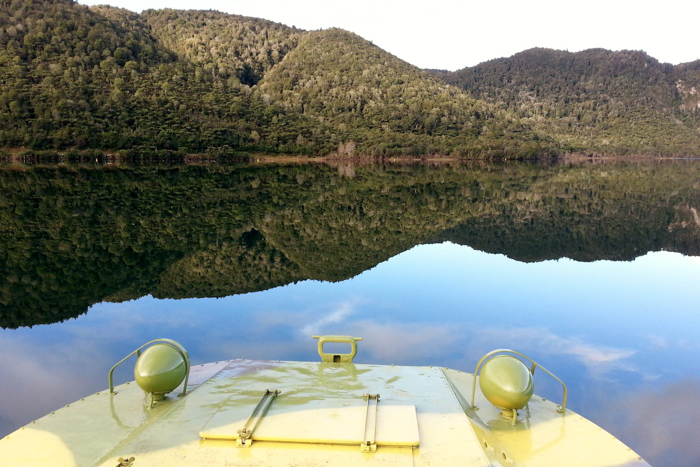 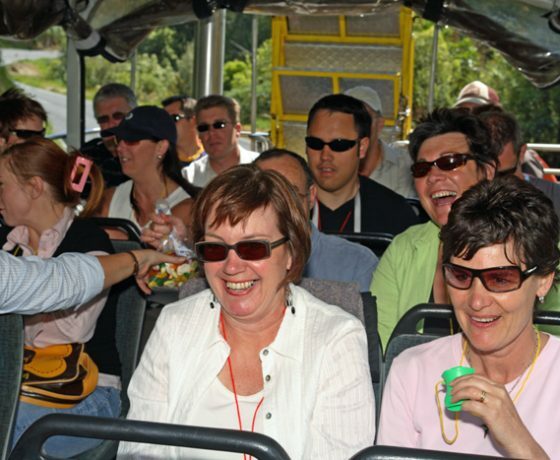 Choose one of our popular lake duck tours for a great introduction to Rotorua, its history, and its people. 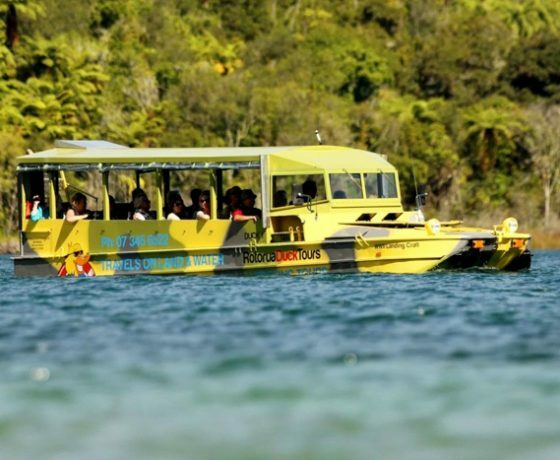 A 90 minute tour that takes place on both land and water beginning right in the heart of the city centre where you will learn about the diversity, the geothermal areas and the rich history and Maori culture that makes this place a unique destination. 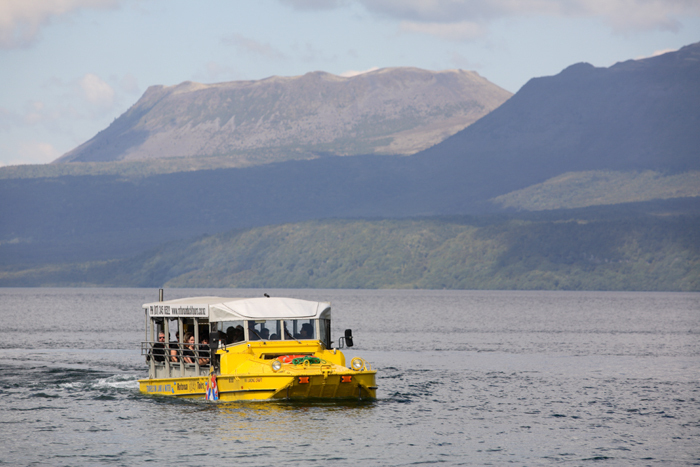 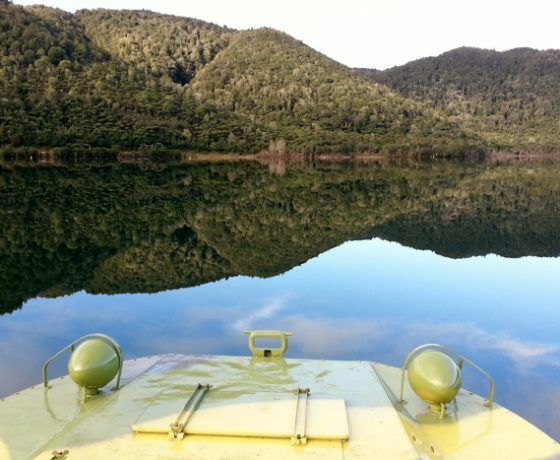 We then venture out of town to visit the spectacular ‘lakes district’ where you will experience a SPLASHDOWN into Lake Tikitapu, Lake Okareka with a stunning backdrop of Mount Tarawera. 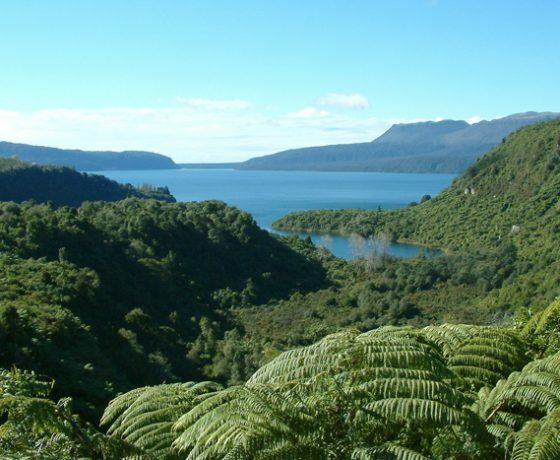 This tour lasts for 120 minutes and offers the opportunity to learn about the lakes district, the land, its people and the devastating eruption of Mount Tarawera in 1886. 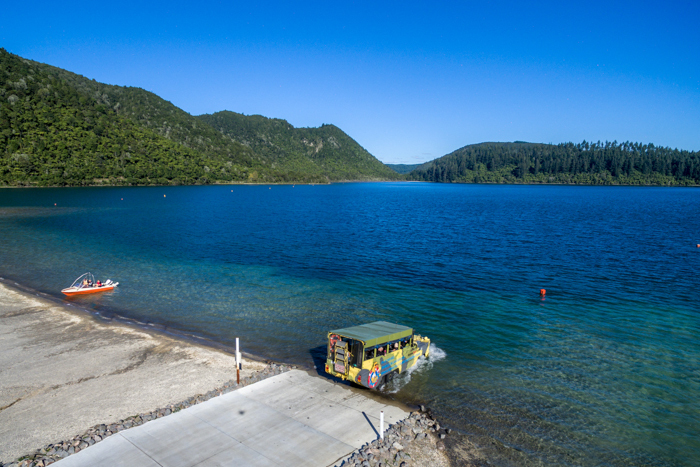 This fully guided adventure takes place on both land and water beginning in the heart of Rotorua before heading to the lakes and your first SPLASHDOWN in to the calm waters of Lake Okareka. 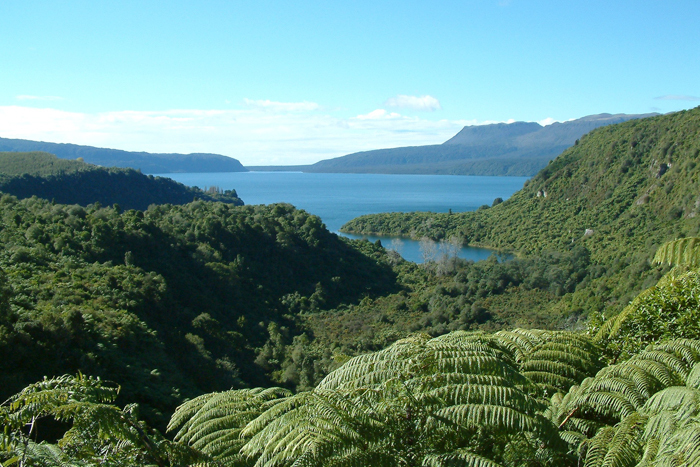 Explore this stunning area backed by the breathtaking volcanic domes of Mount Tarawera. 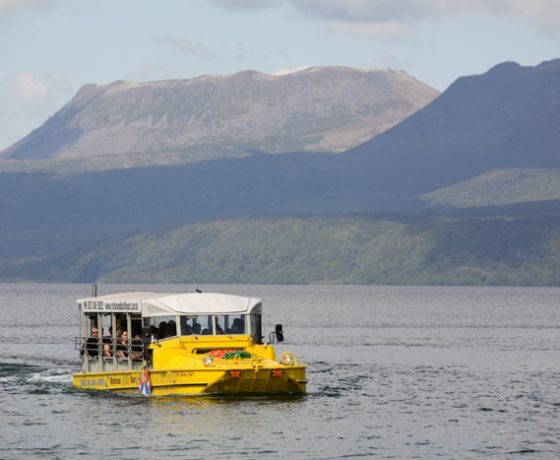 Splashdown into the blue water of Lake Tarawera, visit a cave with traditional Maori carvings, splashdown again into Lake Tikitapu, view the Green Lake ‘Lake Rotokakahe’ before returning to the sulphurous aroma of Rotorua’s city centre. 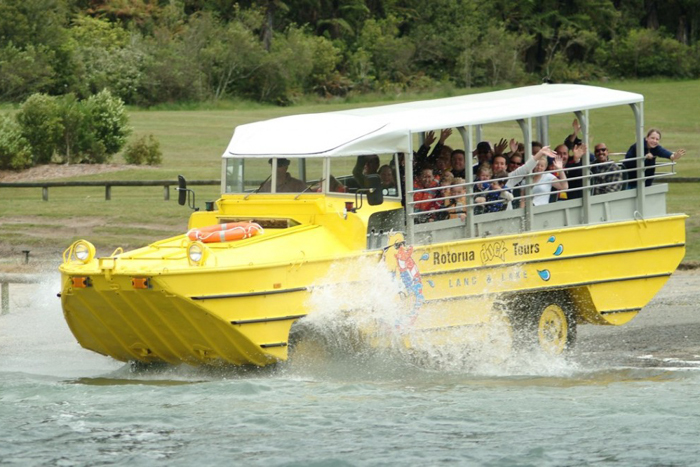 with Rotorua Duck Tours, a once in a lifetime unique adventure!